John received a B.S.E. in Electrical Engineering and a B.S. in Sound Engineering from the University of Michigan in 2010. 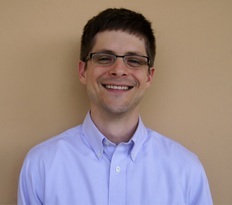 He then worked in industry for several years designing high-precision frequency synthesizers and crystal oscillators for Connor Winfield while starting up a digital-violin synthesis company called Weinreich Labs. He has also worked as a professional live sound engineer since 2007, which has given him the honor to tour internationally with acts such as Robert Plant and Modest Mouse. Peter is from Moscow, Idaho. His research is efficient mixed-signal computing. Fred spent several years in the US Navy; he is a great videographer, and is interested in saving the group scads of money. Justin is a University of Florida student who ventured north to intern with the group in Summer 2014. He left with a great interest in RF and analog design; as well as a burning desire to see the Headlands International Dark Sky Park (best stargazing area in Michigan). Wolf is currently researching analog to digital conversion in the Flynns' backyard. Linda joined the group in 2018 after getting a bachelors from the University of Notre Dame. She owes a huge thanks to her family, friends, and ND EE professors, without whom she would not have gotten into graduate school. Her interests are microwave/analog circuit design and STEM education. Lu joined the group in summer 2016 as internship and come back as a PhD student in fall 2017 after getting B.S. degree from Zhejiang University. He's now interested in mix-architecture ADCs and high speed serial links. Lu is also a fan of electronic DIY. Taewook is from Korea, and graduated from Seoul National University. His current concern is watching too much YouTube. Akshay joined the Flynn group as a temporary research assistant in Fall 2018. He is a masters student interested in analog circuit design. Akshay also loves playing badminton. Seungjong was born in S. Korea, but studied Electrical Engineering in Japan. It was there that he heard about the famous Flynn group, and wanted to join. Seungjong is fluent in three languages: Korean, Japanese and English. He is hoping to see a lot more of the USA while he is here. 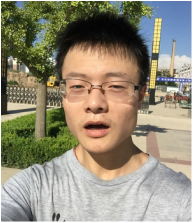 Rundao joined the group in fall 2016, he is interested in analog circuit design. He also considers himself an environmently friendly man. Boyi joined the group in fall 2016 after getting B.S. from Shanghai Jiao Tong University. She likes mixed signal IC design and ADC. Ian is an undergraduate from Novi, Michigan. He joined the group in Fall 2018 as a sophomore in the Electrical Engineering and Computer Science department.